All organizations with 20 or more employees in Ontario have until December 31, 2012 to file their required accessibility compliance report. The deadline for complying with the policy, business practice and training requirements of the Customer Service Standard was January 1, 2012. 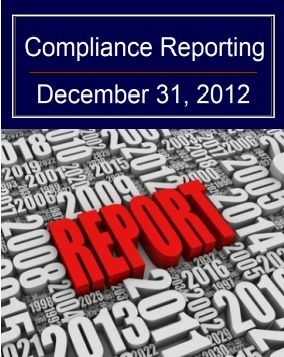 The time-frame for reporting compliance has been extended to December 31, 2012. NEED HELP FILING YOUR REPORT!! Download a copy of "How to complete your Accessibility Compliance Report"
The business landscape is changing. Our new economy is driven by significant shifts in customer expectations, dramatic changes in demographics, as well as new legal requirements. How Are These Factors Influencing Your Performance? • 86 % of consumers never go back to doing business with a company if they had a bad customer experience. • A 5 percent shift in customer retention results in a 25-100% profit swing. • 82% of customers tell others about bad customer experiences. • 60% of people say customer service is the number one factor, ahead of price, in selecting a service provider. • For the first time, by 2017, seniors will account for a larger share of the population than children under the age of 15. • Nearly 2 million Ontarians currently have a disability. This number increases steadily with age. • In 2008/2009, almost 70% of all complaints filed with the Ontario Human Rights Commission related to age and/or disability. • All Ontario businesses and organizations must comply with the Customer Service Standard by January 2012. Continued business growth and profitability is dependent upon an organizations' capacity to respond to current business realities. Understanding, creating and sustaining a responsive customer focused organization makes good business sense. It also has now become a legal imperative. PSN - Performance Solutions Network is a customer focused, leadership development and training consultancy. We focus on strengthening organizations' ability to respond to changing business, customer, demographic and legislative requirements. PSN has the skills, experience, understanding and passion to help you make sense of today's diverse business influences. PSN can help you develop and implement pragmatic and cost-effective approaches which respond to the needs of your customers and help execute your business objectives.